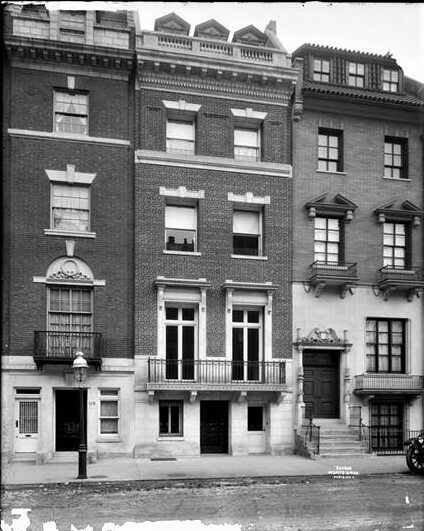 In 1872 ubiquitous developer Christopher Keyes began construction on a row of 11 20-foot wide brownstone-fronted homes on East 69th Street, between Park and Lexington Avenues. Designed by the equally-prolific John Sexton, they were completed in 1873. On April 14, 1903 the New-York Tribune reported the Catherine Agnew would be married to Edgar Stirling Auchincloss that afternoon in the mansion of the bride's family at No. 23 West 39th Street. Catherine was the daughter of Andrew G. Agnew and the former Mary Hervey Bliss. Exactly one year later, on April 15, 1904 Agnew purchased No. 123 East 69th Street. And then the following year, in July, he transferred title to his daughter. The reason that her parents' wedding gift was belated was most likely due to an updating of the now-outdated Victorian. In 1904 Agnew had hired S. Edson Gage to make alterations. Period photographs reveal a remodeled facade--a somewhat curious take on Spanish Revival. Edgar Auchincloss was a wealthy importer. He had graduated from Yale University in 1896 and was was a member of some of Manhattan's most exclusive clubs, including the University, Downtown and Racquet Clubs. At a time when only the wealthiest owned motorcars, he was a member of the Automobile Club of America. The Auchinclosses had four children--Edgar, Jr., Mary Bliss, Elizabeth Ellen and Katrina. The same year that Edgar and Catherine moved into the remodeled house, they acquired a 400-acre country estate near Darien, Connecticut. Its name, Keewaydin, was taken from Longfellow's "The Song of Hiawatha." On May 4, 1910 Edgar Auchincloss died in the 69th Street house at the age of just 35. While he left about a quarter of a million dollars to relatives, Catherine received the bulk of the estate. The New-York Tribune remarked "At her death the estate is to go to the testator's three daughters and one son" and added that the estate's executors "are empowered at any time to provide a fund of $25,000 for the son to use should he desire to embark in business, or a like sum, should he desire to enter into serious study preparatory to taking up a profession." In a move that may have shocked society, two days after her husband's death, Catherine purchased the house next door, at No. 121, spending more than a million and a half in today's dollars on the property. It may have been, however, a reaction to being suddenly alone that prompted the purchase. 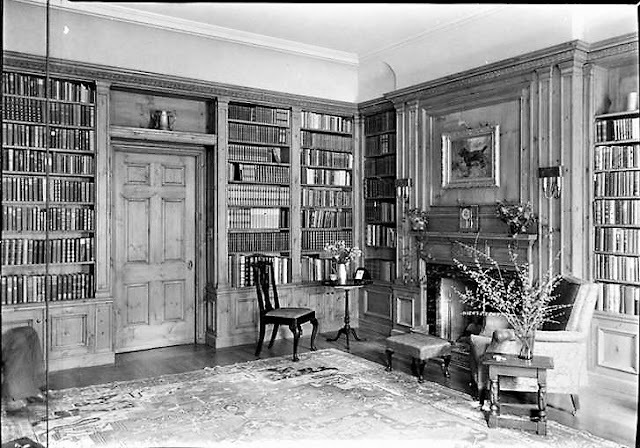 After having the architectural firm of R. H. Robertson & Sons make "extensive alterations and additions" to the home, she sold it to her brother, George Bliss Agnew. The closeness of the siblings was evidenced five years later when, on the same day, September 17, 1915, architect W. I. Morris filed plans for interior renovations to both houses. They were identical in scope, "extend stairs and bedrooms," at a cost of $3,000 each. The young widow never remarried. She instead busied herself with charity work, most notably the Association for the Aid of Crippled Children. During a its annual meeting in the 69th Street house on March 2, 1926, she was re-elected its president. For decades she would be highly involved in her pet philanthropy, often hosting meetings, teas and receptions in the home. 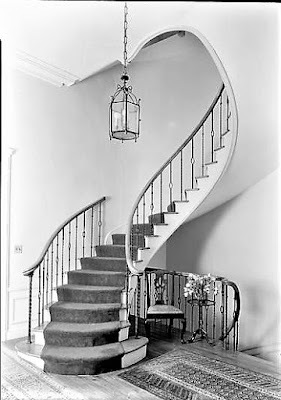 In 1930 Catherine commissioned architect William F. Dominick to give the house a noticeable face lift. His plans, filed on December 11, involved removing the stoop and areaway, remodeling the first and second story facade, and replacing the tiling of the roof and shed dormer with copper cladding. Dominick's remodeling of the lower floors toned down the former Spanish Renaissance elements. It was a busy time for Catherine. Twelve days later the engagement of Edgar, Jr. to Patty Milburn was announced. One by one Catherine's children married and left East 69th Street. Mary was married to Nelson Lawrence Page on November 16, 1933; and Katrina's engagement to Royal Elting Mygatt was announced on July 9, 1937. That wedding took place less than a month later at Keewaydin. Elizabeth's wedding three years later in June also was celebrated in the Connecticut home. Rather surprisingly, The New York Times noted on June 9, 1940, "No previous announcement of the engagement had been been made." At the time of Elizabeth's marriage Catherine had five live-in servants at No. 123--a cook, two maids and two "waiters," (the more polished maids who served, for instance, Catherine's teas, receptions and luncheons). An example of the regular teas that would have kept those women busy was the tea hosted by Catherine and Elizabeth on April 7, 1945 for the trustees of the Child Education Foundation. It was emblematic of the types of entertainments Catherine held--almost never merely social, but with an altruistic purpose. 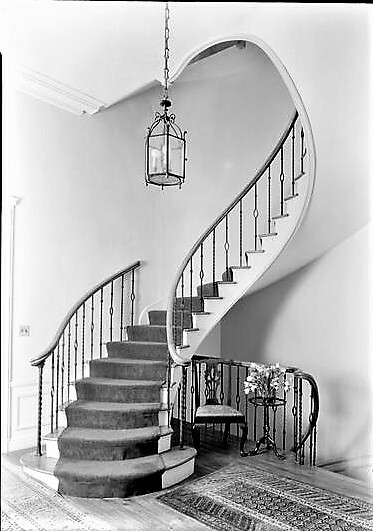 On May 16, 1950 The New York Times reported that Catherine had sold the house she had occupied for nearly half a century. Two years later, while still a single-family home, a doctor's office was installed in the first floor. By the early 2000's the mansion was owned by, Zack Hapton Bacon III, a partner in the multibillion-dollar hedge fund Moore Capital Management; and fiancé of Diandra Douglas (former wife of actor Michael Douglas). When he listed the property in 2005 for $10.75 million, it was described as having "six bedrooms, eight wood-burning fireplaces, a wood-paneled library and a terrace topping the fourth floor." There were also an elevator, indoor waterfall in the entrance hall, and a gym with sauna. Bacon changed his mind, however, and took the property off the market. Twice remodeled, Catherine Auchincloss's stately home is an integral part of the amazing architectural fabric of the East 69th Street block.